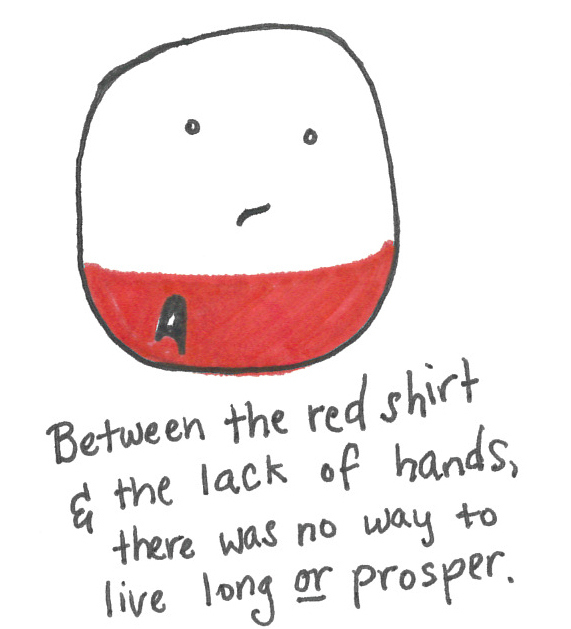 So, don’t wear red on the Enterprise, kiddos. It’s just a bad life choice. This entry was tagged Captain Kirk, red shirts, sixties, Star Trek, star trek episode, Star Trek: The Original Series, The Blob, Trouble With Tribbles. Bookmark the permalink.